In January 2017 Meaghan noticed her lymph nodes in her neck were swollen. Two weeks later, she was admitted to Johns Hopkins Hospital in Baltimore, and five days later we learned Meaghan had Hodgkin Lymphoma stage 2A bulky with a 13 CM mass in her chest. This took us all by surprise. One month earlier, Meaghan had qualified for the North American Irish Dance Nationals and two days prior, had placed 2nd in the 500 for the Stone Ridge Swim Team. After 4 - 21 days cycles of chemotherapy and 14 days of radiation, Meaghan showed no evidence of disease and was in remission. Even though she missed three months of school, she finished out her freshman year of high school at Stone Ridge School of the Sacred Heart with highest honors. She started summer swimming with the Inverness Forest Nessies as soon as she was done with radiation. In October 2017 Meaghan participated in her first Light the Night walk in Rockville as a Survivor.She was surrounded by friends, family and so many who came out to support all those with blood cancers.It was an amazing night.A few days later Meaghan found out that she had a recurrence of her cancer.We were devastated. 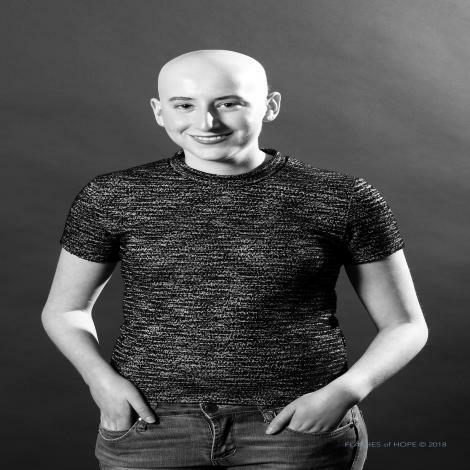 November 2017 Meaghan began a clinical trial to put her back into remission.After 4 - 21 day cycles of Nivolumab and Brentuximab Meaghan was in remission and prepared for a stem cell transplant.She was admitted on February 9, 2018 and received 6 days of High Dose Chemotherapy and on February 15, 2018 had a stem cell transplant. She spent almost a month in patient at Johns Hopkins in Baltimore and then we lived in Baltimore until the beginning of May so we could be within ten minutes of Johns Hopkins.August 15th was six month post transplant and we are happy to report that Meaghan is still in remission.